Alexis Joelle : What Do Nelson Mandela Quotes Have to do with Occupational Therapy? 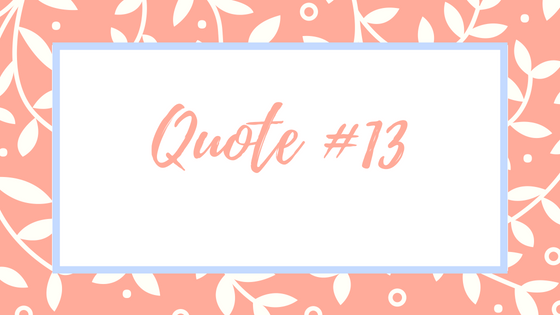 What Do Nelson Mandela Quotes Have to do with Occupational Therapy? A single centennial celebration for our profession of Occupational Therapy does not stop in 2017; it signifies a legacy building upon itself. In this proactive "journal entry" of mine, I want to take you on a journey of celebrating Nelson Mandela today (as today would have been his 100th birthday). He is a historical landmark for what it means to be a peacemaker; for human and social rights. Everyday as Occupational Therapy practitioners, we face circumstances where we advocate for our client's human and social rights to participate in meaningful day to day activity. "Difficulties break some people but make others. No axe is sharp enough to cut the soul of a sinner who keeps on trying, one armed with the hope that he will rise even in the end." Hitting roadblocks, obstacles and circumstances telling us "no" in practice is familiar to many; it comes from administrators, peers, our own colleagues, and even our clients when they don't want to work with us. When we use those roadblocks as fuel instead, we rise and grow. Every time I use the very thing pushing me down as fuel, I gain greater momentum and strength to stand up again. We will fall many times. Just like when little ones learn to walk. Then they try again after hitting their bums on the floor more times than not. they are handed a barrier (or a wrench is thrown in their plans of life) and we assist in filling in the gaps along their journey in finding their footing?...isn't that the very thing to facilitating access so they can move, do and be in their meaningful activity? Instead of defeat: How can we use our barriers as fuel for our soul? If we haven't tried it yet, we will not know what will come of it. Instead of giving up...instead of giving it a label like "not being accessible" or "it's impossible," try embracing the journey one baby step at a time. We make it this big thing that if we snap our fingers, it will magically appear and be what we expect the results to be. Again, we must learn to take the small steps before walking, crawling, stumbling, and losing our footing. We will never know what it is like until we get in the mix of it. What baby step will you take first right after reading this post to embrace the impossible? "If I had my time over I would do the same again. So would any person who dares call himself a person." When we own our lifestyle, we accept ourself for as we are. This is a valuable professional lesson to live by. If we live someone else's life, we disregard our own. To ensure you have no regrets or missed opportunities: How will you live your life exactly as you are? Without diverse perspective, we live in a limited world subjected only to our own knowledge of it. We will also feel isolated in our problems. When we expand our understanding of what we think we already know plenty about, we actually grow solutions rather than problems. How will you broaden your friend circle? Who will you hang out with and ask questions of to gain a more well rounded understanding of the topic you struggle with? "Real leaders must be ready to sacrifice all for the freedom of their people." When we signed up for this profession, no one told us we would need to be leaders; the truth is we are. The moment we get that "L" to state we are licensed, we gain a responsibility to lead. How will you lead in order to free your clients from their barriers...to be able to access their meaningful activity? Plainly speaking, we care a lot! We do. No matter how you show it or phrase it for others to understand, we care and show concern for our clients and community. Do we live our world dream in the practice of OT? Do we do the work? Do we do OT? - I didn't say these questions would be easy to answer or sweet and considerate of your particular circumstances. -when I journal, I actually ask myself the hard questions I don't want to hear sometimes. I answer back to them to grow in learning! -If I ask myself these questions, I should ask them of my #OTtribe as well because it means you too are reading this to learn and grow yourself in life and in your OT practice. We know education is huge! We must pass along the knowledge to serve our clients. However, it's less about what we can educate our clients on and more of what we can learn instead; that is where change happens. What will you educate yourself about today to change the world? "I learned that courage was not the absence of fear, but the triumph over it. The brave person is not those who do not feel afraid, but those who conquer that fear." I feel we conquer a fear every time we are brave enough to step into the patient's room, space, or environment to offer our services to them. Confession: I get nervous every time I step in; shaky and gittery...and I've been practicing since 2011!!! Fearing that they will reject what we have to offer is the very thing that drives us to serve in our best efforts. We want to provide a meaningful therapeutic relationship with our clients. We want them to succeed. When we let fear take over, we miss the opportunity to truly serve our clients. How will you face fear head on to serve in your purpose? We feel free when we succeed in getting our clients what they need. Freedom to me is feeling like my clients can access independence in their daily activity. I feel free in my purpose when I achieve this. How do you release the chains, holding you down, to free your clients from their burdens? The burdens stripping them of their freedom to access meaningful activity? We can feel demoted from our position when a client prefers to walk instead of do daily activity with us... or we feel treated unfairly in being included as a part of the team....and we hold grudges towards our own clients and other disciplines. The thing is: it's not worth losing sleep over it at night. We do become poisoned over our own grudges. How will you let go of resentment? Oh em G: this is our bread an butter. We facilitate others to be able to lead their own lives; through independence in accessing meaningful tasks. IT'S NOT JUST BELIEVING! Our clients actually will take the front if we allow the opportunity. How will you allow your client to lead, not just believe? We very well do this with our clients in encouraging them to fall because it means they are moving forward. Will you give yourself permission to trip, slip and fall, many times in the day, to be successful? "I hate race discrimination most intensely and in all its manifestations. I have fought it all during my life; I fight it now, and will do so until the end of my days." The physical characteristics of clients we serve (their race) is judged by many unintentionally. They will be assumed to be a certain way when it comes to their health and well being. The healthcare services provided to them will have gaps unintentionally; there is no question of that. 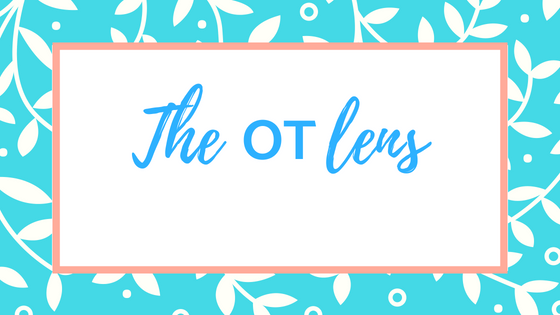 OTs do advocate on the regular for health literacy efforts; to bridge these gaps for our clients due to unintentional biasing treatment but, we forget to acknowledge the OT race. Our physical OT characteristics are judged by others. The equipment we carry around in the halls. The way we carry ourselves to others. Truth is, we need help from those who can advocate for us to be as we are. We need support; we need a community to fight for and a community to fight on our behalf. 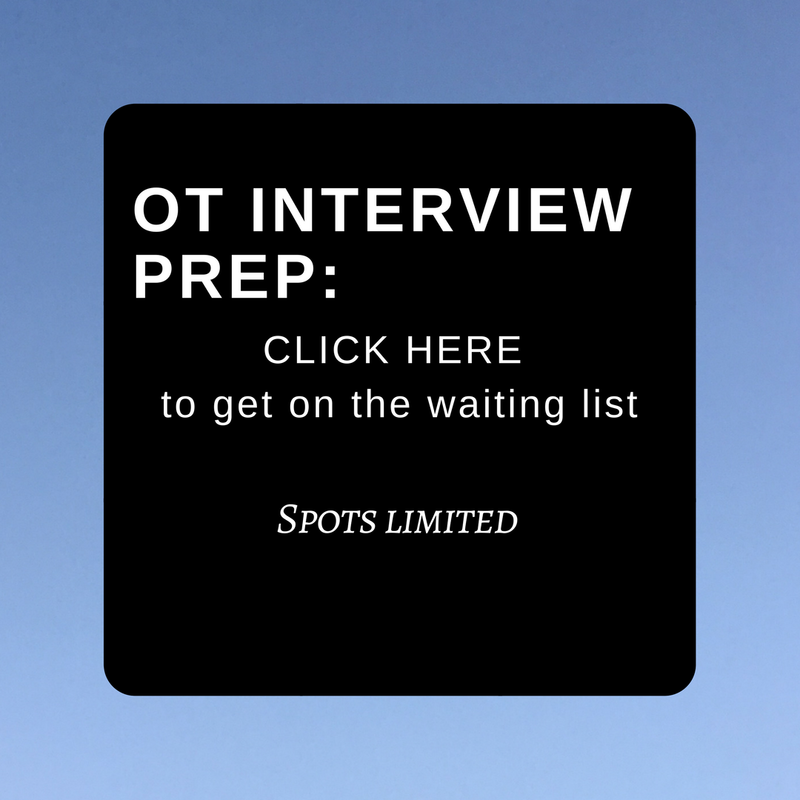 How will you fight for your OT race? We toggle between listening to our head and listening to our heart; I always listen to my OT heart. because it is a feeling greater than logic or knowledge. That feeling creates deeper connections to myself in what I do and a deeper connection to what my clients need from me as an OT practitioner. Truly, no one cares about your 4.0 GPA or highest level degree. All they care about is if you spoke and acted upon your heart. How will you live with a good heart in your OT practice? What percent will you be? I personally would love to expand my knowledge by hearing your thoughts. If it's too personal to share in the comments below, shoot the responses to me in an email. 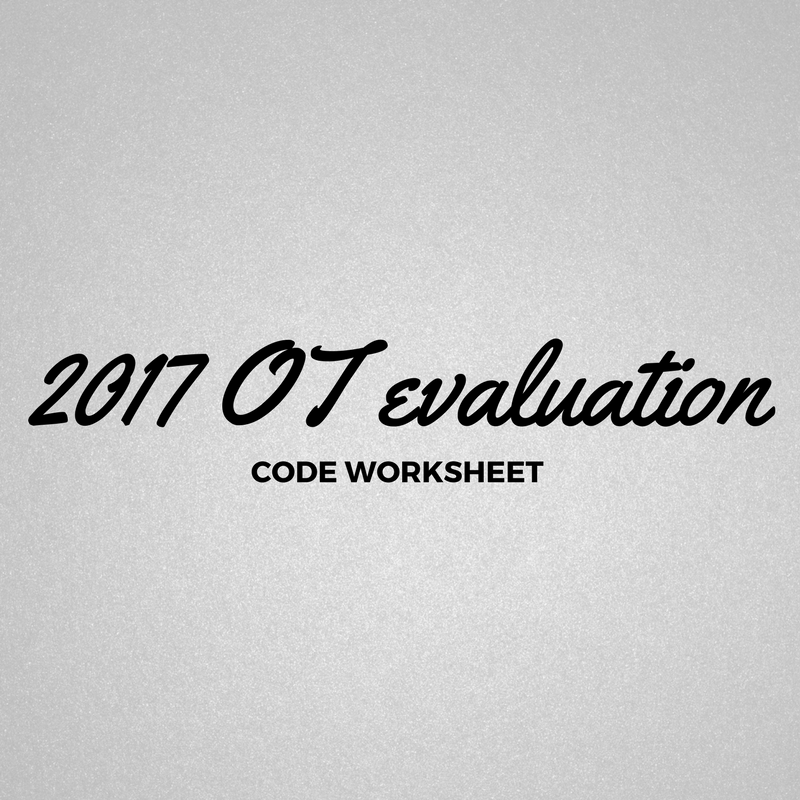 Want to take on the assignment because you know you want to boost your OT growth but, need more time to answer? They are hard questions for me too...and you don't have to answer them all in one day! Do one each day of the week and get back to me in 15 days! (If you need friendly reminders, I'll post the question of the day in my instagram for the 15 days). Challenge accepted: let's do this.